Chapter 1: Witch Eyes Her first love was the wind. Pre-speech she followed it to the shore, a sickle of platinum sand between two granite monoliths. Its thrusting curve held her as a mother's arms might have, as it held the crooning waves and crying birds, the bladderwrack strewn like entrails among beached jellyfish and sanded glass. On cloudy days she stood and let its magisterial sorrow wash over her; when the sun shone she chased it, laughing. When she was old enough she tied her skirt between her legs and climbed the rocks, to feel its heady edge as it tried to tear her down. Later, battered by a longing she could neither trace nor name, she would wade out into the sea until its ancient cold numbed her body and then reach out to embrace the wind. And one day, when she'd left that beach far behind, she would realize that during those half-forgotten days of her earliest childhood, the wind's soul had blown into hers, rending it to tatters, knotting them again with its own fingers so that it would never quite leave her. Knowing that, she would come to peace at last. But there were many days to live through before that one. 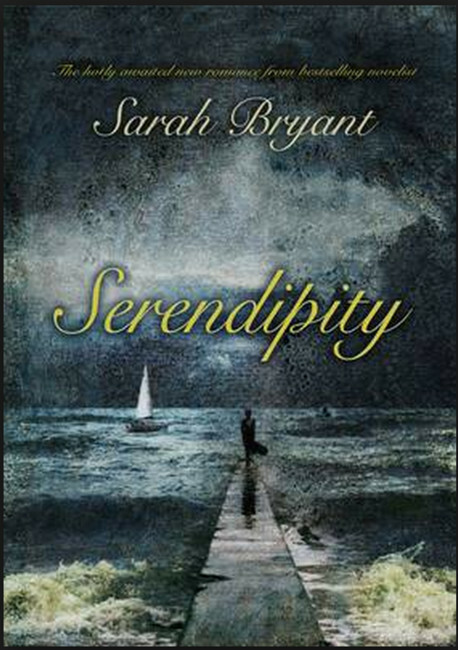 Serendipity is a tale of love, lost and found.